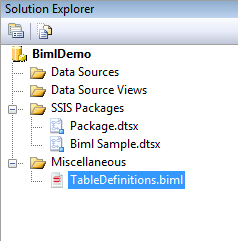 She also covers some of the most important changes to the Biml API, like the updated CallBimlScript, the new MakeSsisSafe extension method for strings and the flat file extension method for generating table columns from flat file columns. Cathrine work as a consultant, technical architect, and developer, focusing on Data Warehouse and Business Intelligence projects. Outside of work I’m active in the Biml and SQL Server communities as a Microsoft Data Platform MVP, BimlHero, speaker, and blogger. I’m also a past board member of Microsoft Data Platform User Group Norway and past main organizer of SQLSaturday Oslo. In this day and age, data warehouses simply have to be future proofed for cloud technologies. Populating this modern data warehouse should benefit from the latest innovation in ETL and data integration with near self-service data preparation. You need a data warehouse automation (DWA) solution built from the ground up specifically to empower Microsoft BI Stack users with the ability to switch between on-premise and Azure deployments. Data Warehousing at the best of times is a complex undertaking and BimlFlex has been specifically designed to simplify the development process and subsequent maintenance. The ability to switch your DWA generated code between Azure compatible and on premise is unique to our solution. Our customers benefit from having a Data Vault Accelerator that accelerate the design, creation, population, and maintenance of their model. Building Point in Time and Bridge tables is simply a metadata configuration providing a virtual data mart option. Make full use of Azure SQL Data Warehouse parallel processing power with support for Hash Distribution Keys. The real value of BimlFlex is how efficiently it delivers business value and how easily it can be implemented, operated, and maintained. We have seen consistently with our customers their ability to be self-sufficient, especially if they have a Microsoft BI team, reducing the need for external development services. In this webinar recording, we work through a real world customer use case discussing the various strategies and challenges during the project. We segment the webinar with an executive overview first and then do a more detailed deep dive showing how we do this. BimlFlex data warehouse automation, especially when combined with Azure Data Warehousing, is worth investigating if you are about to embark on a modern data warehouse project. We've rewritten our product pages, added new and improved documentation, and made improvements to the store and quoting process. Perhaps most exciting, though are the changes to our account page. In minutes, you can create your own self-activating keys for BimlStudio and BimlExpress offline scenarios that last for up to 6 months. Even better, when your offline key is nearing expiration, we'll send you an email with a conventient renewal link. The new version of Mist is called BimlStudio 2017 and offers a ton of great features, including overhauled source control, tabular model support, global include files, Biml bundles, and so much more. The most noticeable change, though, is the new name and styling. BimlStudio does a far better job of conveying the purpose of the tool. We hope you love the improvements as much as we do. BimlExpress 2017 is the latest in our free SSDT add-in. Enjoy performance improvements, bug fixes, global includes, an expanded Biml preview window, and more! Plust, we now use a VSIX installer for BimlExpress, so it will work perfectly with all of your individual and enterprise deployment scenarios. For years, customers have enjoyed the ability to use Biml to create their own customer data development frameworks. Many users wondered if it might make more sense for them to buy a framework someoneone else had already written rather than building their own. BimlFlex answers that question. Use our metadata model to rapidly build staging, ODS, data vault, dimensional warehouses, data marts, cubes, tabular models, or any subset of those capabilities. Check out out everything we shipped today and stay tuned for more details soon!